Laying eggs as they travel, northbound butterflies are delivering the next generation. Western Monarchs: Some sightings! The migration advanced into Oklahoma, Mississippi, and Arkansas this week. The northernmost monarch in Tulsa is only 60 miles from the Kansas border. Many people are seeing monarchs before they’re seeing milkweed, suggesting monarchs are pushing northward on the cusp of habitat readiness. First sightings from Alabama and Georgia raise questions: Are the butterflies coming from Mexico or from the Gulf coast? Watch the animated map (select ‘play’) and see what you think. 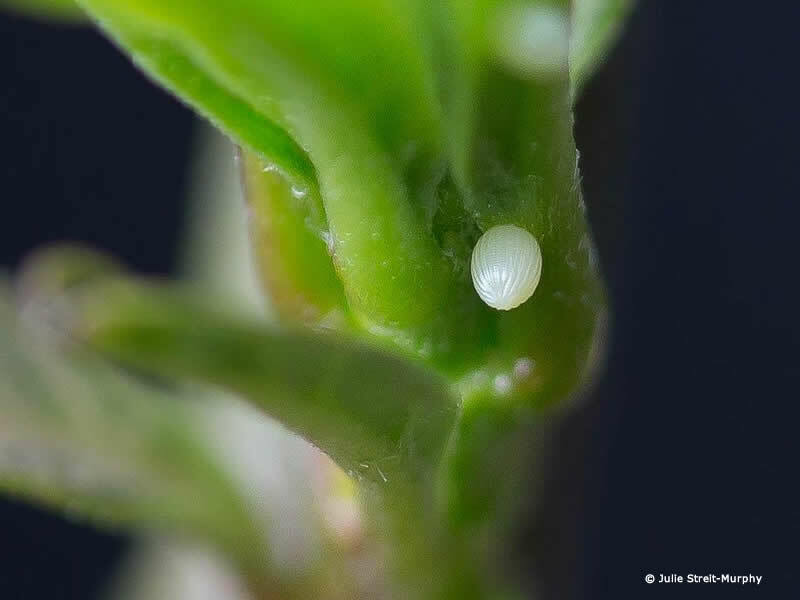 A single monarch butterfly can lay hundreds of eggs. During spring migration, each female leaves a trail of eggs behind her as she travels. Monarchs only live for a few weeks after they begin to reproduce. By the end of April, the butterflies that overwintered in Mexico will have reached the end of their lives. The next generation will complete the migration. Those butterflies will be the children of the monarchs that spent the winter in Mexico. Just think: Without a new spring generation, we would not have monarchs within a few short weeks. Monarch Habitat - When Ready?